This past summer, the Storytellers of Canada-Conteurs du Canada held their 18th annual conference in St. John's, Newfoundland. As part of that conference, we wanted to feature one aspect of our intangible cultural heritage by showcasing tradition bearer Alice Lannon. 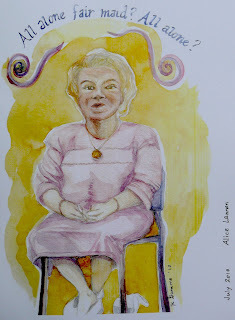 Alice is one of Newfoundland's storytelling gems, telling traditional stories she learned orally, folk tales and legends which have been passed down in her family for generations. 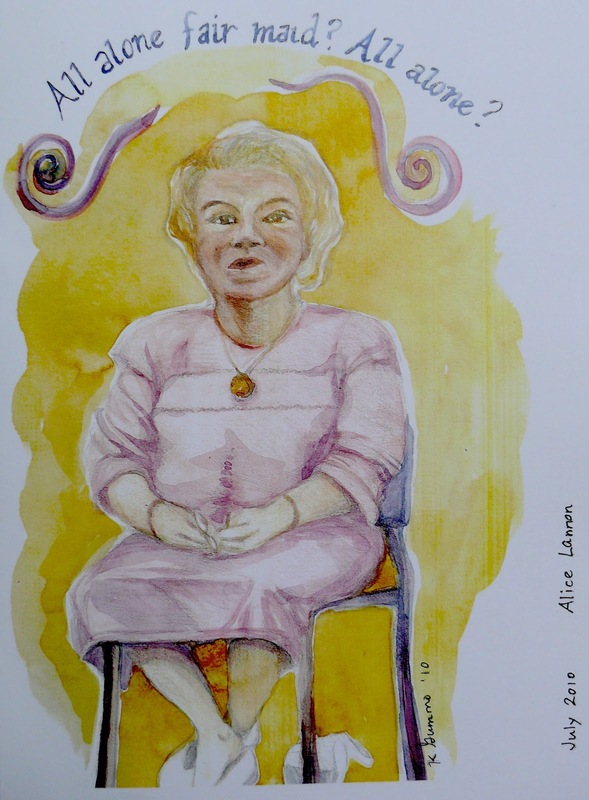 We recorded Alice's stories to be included in the ICH inventory we are building as part of Memorial University's Digital Archives Initiative, which means you get to listen to her tales as well! You can listen to Dr. Martin Lovelace's introduction to Alice here. Image by storyteller and visual artist Karen Gummo, who presented on storytelling and peace at the conference.